Well if you enter and dont understand us is because the most of the time we are going to talk in spanish lol!!! marks370z, P's_Z, RafPR and 3 others like this. RafPR and JOSE RIVERA like this. YA SOMOS DOS.... VAMOS A VER SI ESTO SIGUE CRECIENDO JEJE!! red z, RafPR and JOSE RIVERA like this. carlitos_370z and JOSE RIVERA like this. Melvin ahora no vengas a opacarnos con tu Z jajajaja!!! que tu llevas mas tiempo con el y nosotros tenemos que cojerlo suave jajaja!!! M3Lv0, P's_Z, RafPR and 1 others like this. Your thread was moved to a regional area since you're asking for local pics of fellow Z owners. 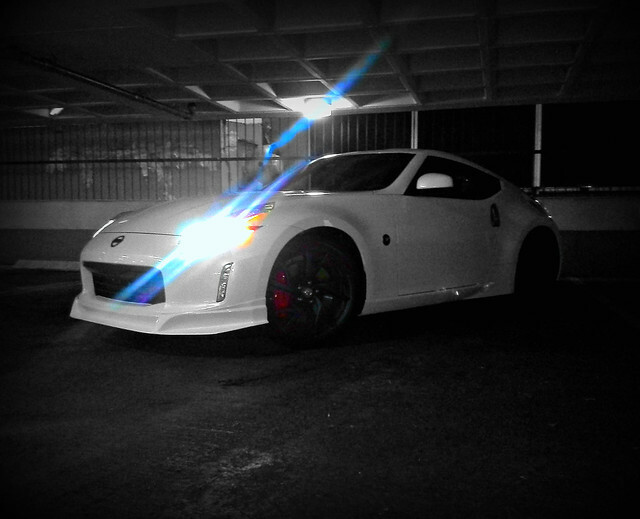 red z, yoyoPR, carlitos_370z and 1 others like this. Primero pides fotos y ahora no quieres q suba fotos, decidete! tengo q sacarle fotos decentes. Bueno nadie mas por aqui??? carlitos_370z and RafPR like this. jajaja!!! bueeeeeno pues dale postea pics.... pero primero vete a correr un enduro en el y despues tomas las fotos y las subes jajaja!!!! yoyoPR, carlitos_370z and RafPR like this. Esoooo eee creciendo la familia!!! Eso me gusta jeje saludos desde la isla mi pana!!!! JaviZ and RafPR like this. Pedro from Caguas over here. Carlitos... Great idea with this thread!!! Just like carlitos was saying, i hope to see some good people here from our island and hopefully have a few meets to get to know each other and coordinate a few activities, trips around the island, cars and coffee(or cars and beers ). Well, keep posting my fellow ricans!!! red z, carlitos_370z and RafPR like this. P's_Z and RafPR like this.